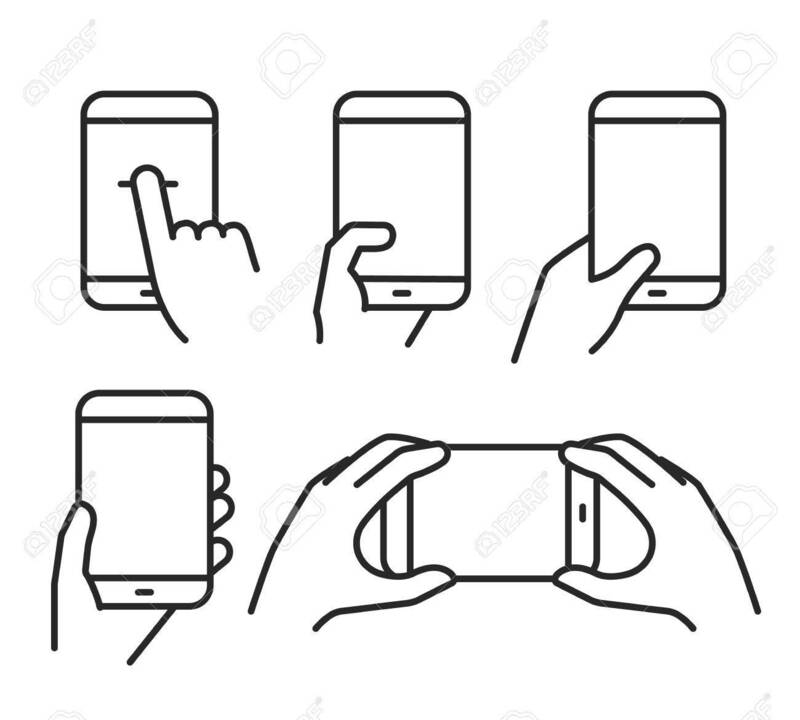 Different Variations Of Holding A Modern Smartphone. Lineart.. Royalty Free Cliparts, Vectors, And Stock Illustration. Image 53605975.